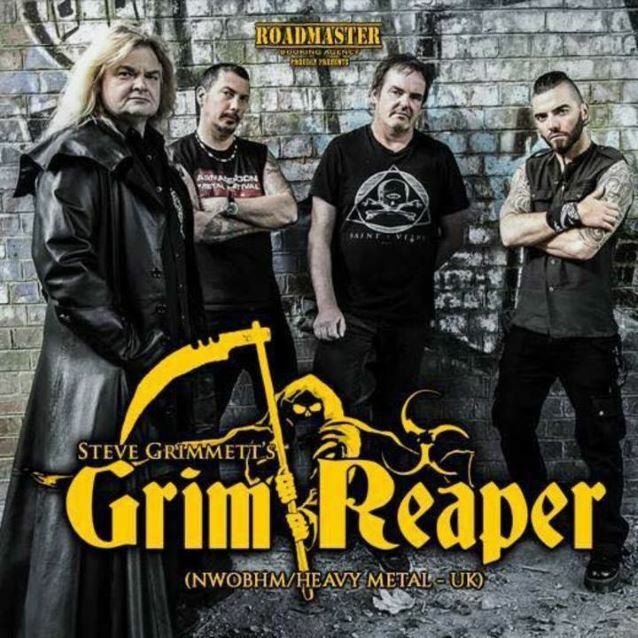 Original GRIM REAPER guitarist Nick Bowcott joined STEVE GRIMMETT'S GRIM REAPER, the revamped version of the cult '80s British metal act led by singer Steve Grimmett, on stage on March 25 at 4 D's Bar & Grill in Fort Wayne, Indiana to perform several of the band's classic songs. Check out fan-filmed video footage below. 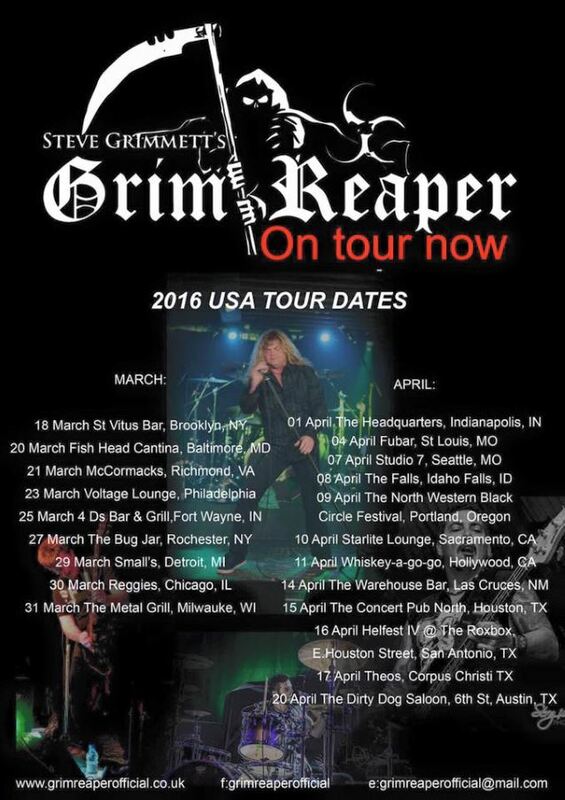 STEVE GRIMMETT'S GRIM REAPER is currently on a 22-city U.S. tour celebrating the 30th anniversary of GRIM REAPER's classic album "Fear No Evil". 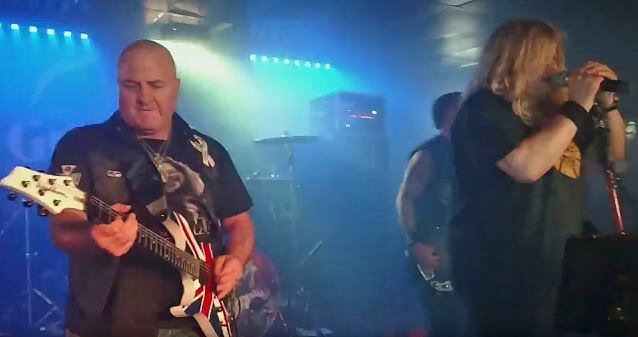 Bowcott will also perform with the band at the Whisky A Go Go in West Hollywood, California on April 11.